A brand new educational space located prominently at the front of the existing JLE centre will soon open its doors in January 2018 and the JLE are now looking for benefactors for dedications. The state-of-the-art facility will also host meetings and events. The total space is ******* m2 and can be split into two areas divided by soundproof moving wall panels. 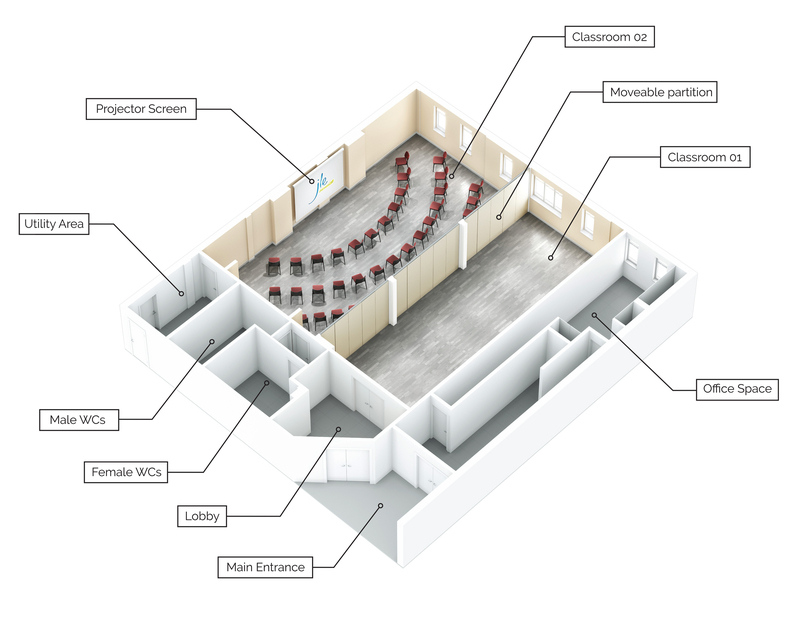 Screens embedded into the walls and a surround sound system will allow educators to deliver dynamic and engaging educational programmes. Click here to see a plan of the new area. This is an exciting new element to the existing JLE centre that we believe will enable JLE to maintain its positon at the forefront of similar organisations within the outreach community.